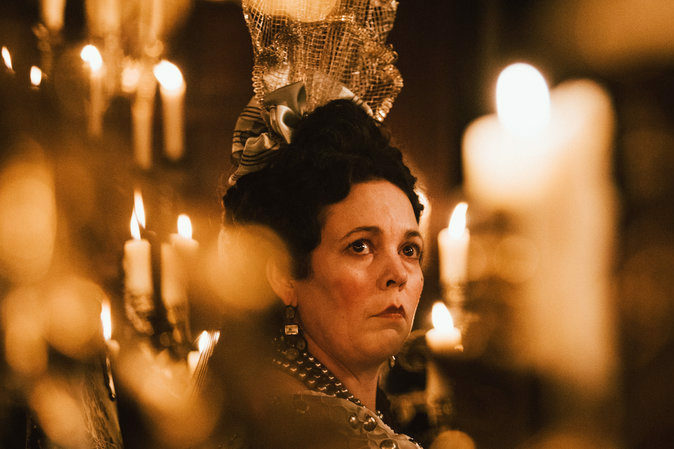 Olivia Coleman plays Queen Anne in "The Favorite." Pizano believes her portrayal was one of the best female performances of the year. “The Favourite” is a twisted tale of lust, manipulation and ambition between 18th century lovers. Director Yorgos Lanthimos creates an extravagant period piece filled with dark humor and powerful performances. Set in 18th century England, Queen Anne’s world is changed when her right-hand woman, Sarah Churchill’s (Rachel Weisz) younger cousin Abigail Hill (Emma Stone), arrives looking for work. Things go awry when Abigail discovers how close the queen and her duchess really are. A conflict arises as Abigail and Sarah climb to be among the queen’s favorite, leading to a battle of the wits between the two. The fierce trio of women shine in performances worthy of award recognition, with Olivia Colman as Queen Anne being one of the best (and my favorite) female performances of the year. Her acting prevails as humorous and at times heart-wrenching. Whether it be screeching at the top of her lungs towards a servant or a long take of her facial expression showing jealousy, she always finds ways of expressing her performance range. Despite her actions being seen as humorous or over dramatic, she is later found to have a heartbreaking backstory (involving her seventeen rabbits) that shifts the story to a tragicomedy. Sarah’s character is driven by being frighteningly authoritative and is practically the ruler of the country, as Queen Anne is a frail leader. Abigail serves as a maid, however she quickly climbs the social ladder through her charismatic and manipulative ways toward the queen. The high-school type of drama between Churchill and Hill is nothing short of entertaining with their scenes plagued with tension and strong dialogue. Viewers will soon realize there is no one to root for within “The Favourite,” but that’s exactly why it’s such an entertaining experience to witness. Lanthimos continues his trend of making his films as deeply weird and original as possible. There are duck races, seventeen rabbits hopping around the kingdom and a memorable ball sequence filled with absurd dancing. As Lanthimos is known for many eccentric film projects, “The Favourite” serves as the most mainstream film to date that is easily understood. The script blends dark wit and riveting drama together in such a skillfully constructed and original way. Three-time Oscar winner Sandy Powell decorates the cast with lavish costumes and powdered wigs, easily being the best costumed film of the year. Cinematographer Robbie Ryan shot the film similar to a Rembrandt painting, which has not been seen since Kubrick’s “Barry Lyndon.” Among the many technical aspects, my biggest complaint was the use of the fisheye lens for specific scenes of the film. I understand the directors intended purpose for the photography, however it bothered my viewing of an already gorgeous film to look at. Likewise, people who are not fond of period dramas, I would highly recommend viewing this engaging black comedy that is sure to reign as a favorite across the award season.